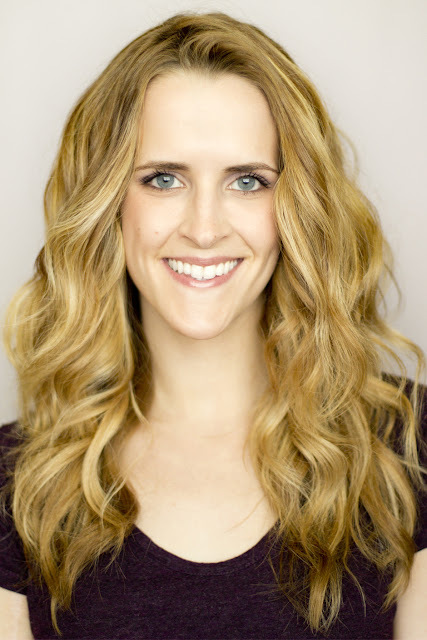 You know those girls you see at the beach whose hair air dries into that fluffy, wavy curl? My hair would never air dry like that, but I wish it would! 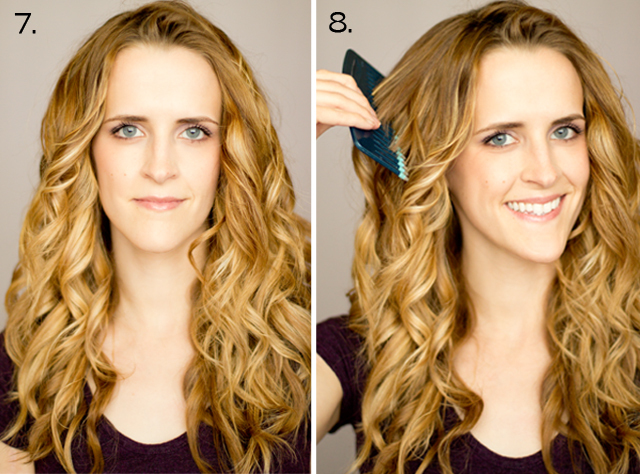 This is one of my favorite ways to curl my hair because everyone thinks it's natural. If you weren't born with that natural wave, at least you can fake it, right? 1. 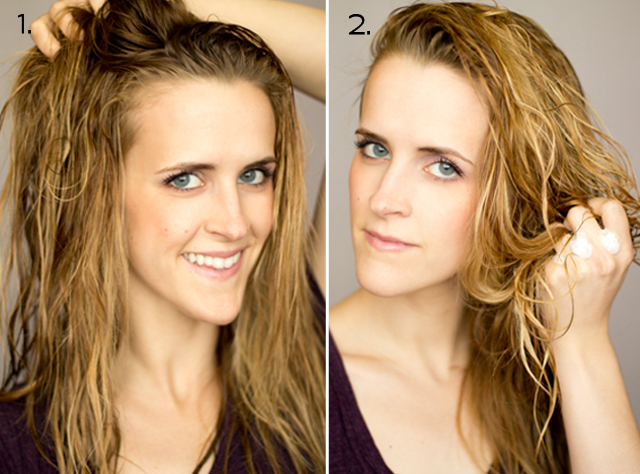 On freshly washed hair, towel dry your hair but DON'T brush it out. 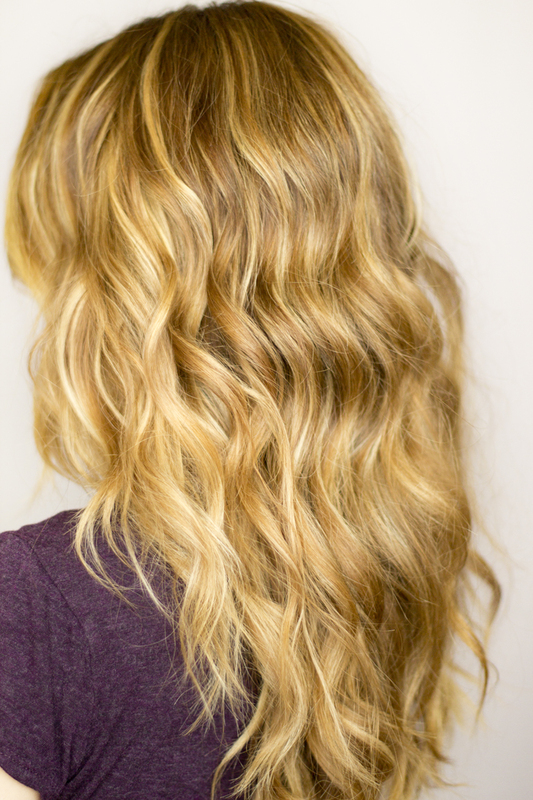 If your hair has no natural curl, brushing it will only make it more straight. Instead just shake it out or run your fingers through it. 2. Apply curl cream or mousse to the ends, scrunching it up as you apply. Some of my favorite products for this style are Unite Boing Cream and Pureology Silk Bodifier. 3. 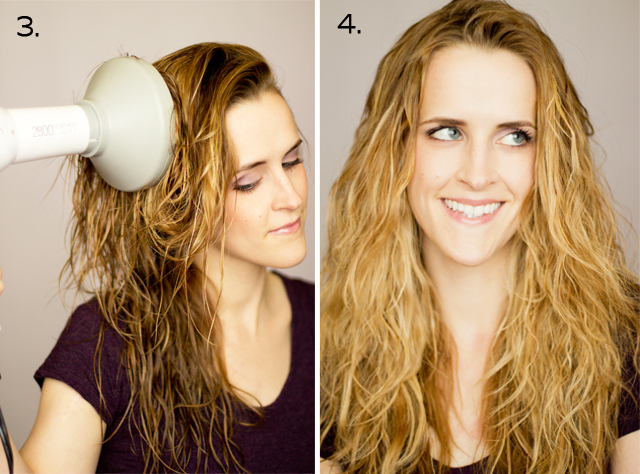 Blow dry your hair with a diffuser attachment on the end. If your blow dryer didn't come with a diffuser, you can buy universal diffusers at Sally's that will fit any size blow dryer. 4. This is what my hair looks like after it's diffused. Just channeling the 80's a little :) Yours might be a little more curly or less curly depending on how much natural wave you have. Either way, all that matters is that it's big and fluffy. 5. 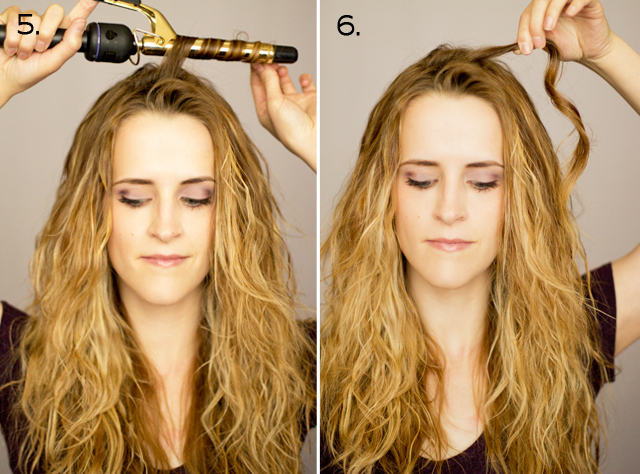 Using a 1/2 inch -1 inch curling iron, wrap your hair around the outside of the barrel instead of clamping it in. This will create a looser wave. You can curl towards your face or away from it. 6. This is about how curly I do each of my curls. You don't want it to curly or it will look unnatural. 7. This is what it looks like after I curl the whole thing. Since I do have a little natural curl, I didn't have to curl every piece of hair on my head, but if you have no curl at all, you might have to curl the whole thing. 8. 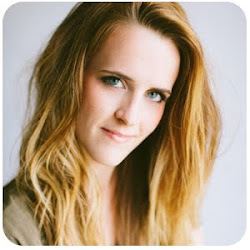 After it's all curled, use a pick to gently comb it out and fluffy it up. Make sure nothing looks crunchy or stiff.